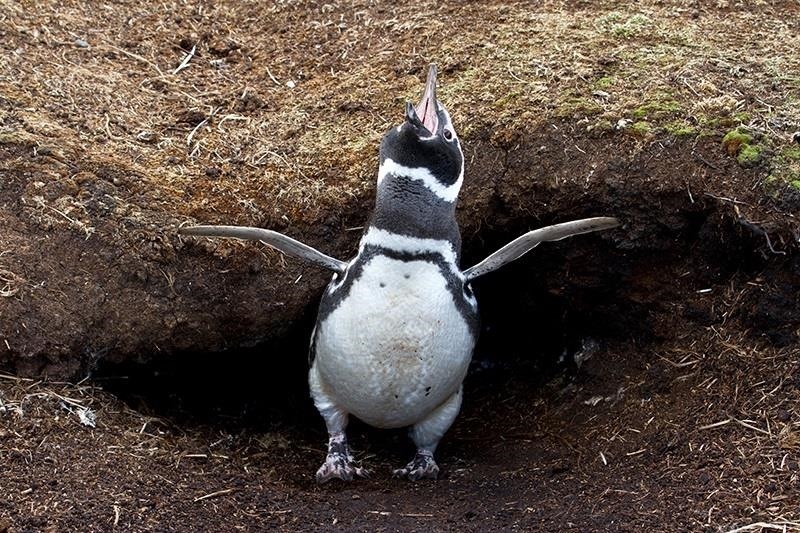 One of the areas that often gives Linux newcomers problems are the environment variables. Although Windows systems have environment variables, most users, and for that matter, most administrators, never manage their environment variables. To get the most from our Linux hacking system, we need to both understand environment variables and be able to manage them for optimal performance. Environment variables are the variables that are used by our particular user environment. In most cases, this will be our BASH shell. Each user, including root, has a set of environment variables that are set at default values unless they're changed. We can change these values to make our system work more efficiently and tailor our work environment to best meet our individual needs. Notice that set lists for us all of the environment variables, user defined functions, and aliases. Also, make note that our environment variables are always UPPER CASE names such as HOME, PATH, HISTSIZE, etc. It's important to notice that when we want to use the value inside the variable, such as here, we need to put a $ before the variable name. The HISTSIZE variable contains the value of the number of commands that are stored in our history file. As you can see in this screenshot, the HISTSIZE variable is set to 1000. In some cases, we may not want our commands stored in the history file, such as when we are covering our tracks, then we can set our HISTSIZE variable to zero. PS1= "World's Best Hacker: #"
Remember that our prompt will now be "World's Best Hacker" whenever we open the first terminal (PS1), but the second terminal will still be the default BackTrack command prompt. In addition, if we really like this command prompt and want to keep it, we need to export it so that each time we open this terminal, the prompt will be "World's Best Hacker." Probably the most important variable in our environment is our PATH variable. This is what controls where our shell looks for the commands we type, such as cd, ls, echo, etc. If it doesn't find the command in one of the directories in our path, it returns an error "command not found," even if it DOES exist in another directory not in our PATH. Notice the directories included in our PATH. These are usually the various /bin and /sbin directories where our system variables are found. When we type ls, the system knows to look in each of these directories for the ls command. Whenever we want to use aircrack-ng or another hacking application in this PATH variable, we have to first navigate to that directory. In the case of aircrack-ng, that would be /pentest/wireless/aircrack-ng. Now when we want to run aircrack-ng, we don't need to navigate to the pentest/wireless/aircrack-ng directory. 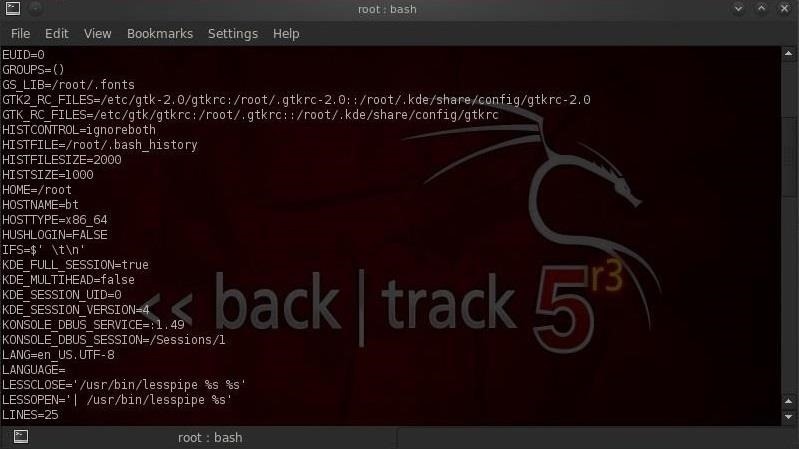 We now can execute aircrack-ng applications from anywhere in BackTrack! This can be a very useful technique for directories that we use often, but be careful to not add too many directories to your PATH variable as the system will have to search through every directory in the PATH to find commands and could potentially slow down your terminal and your hacking. Stay tuned for more Linux basics for the aspiring hacker. If you haven't checked out the other guides yet, you can find them all right here. If you have any questions, make sure to comment below or start a thread in the Null Byte forum for help. after I typed that in myself several times to no avail, I checked the screen shot to where I noticed that the command had only three spaces in it. On another note, the first command listed on step 3 conflicts with the command used in the screenshot, after trying it myself, I notice that '=' is not necessary, however that is not mentioned and simply inferred at that moment. If I am incorrect, then I apologise profusely, and if you would prefer to have these miniscule 'typos' overlooked, then just tell me and I will revert to a quiet community member. where is /pentest in kali???? The "set" command seems different in kali. what should I do OTW? OTW, I made a path to a folder that i store your scripting tutorials in but when i open a new terminal the path is gone. How do i fix this? Have you used export PATH? The variable is only saved for the use of the terminal you use it on and any child terminal sessions. I do have a question though. I'm not quite sure I understand the point of exporting variables. I mean even after I export, if I open another terminal session the variable values are not retained. Am I misunderstanding something? PS: I am running Kali. Correct me if I am wrong, but I believe exporting the variable makes those values available for this terminal and whatever terminals originate from the one you used, but after you close it and any child terminal sessions, your values reset to original. One way around it is to create a file with the commands to set those variables and then use source on it. You could automate the use of the command source filename somehow. You're right. Simply exporting a variable won't do the trick (as far as I'm concerned). Everything is file in linux , modify the specific file.